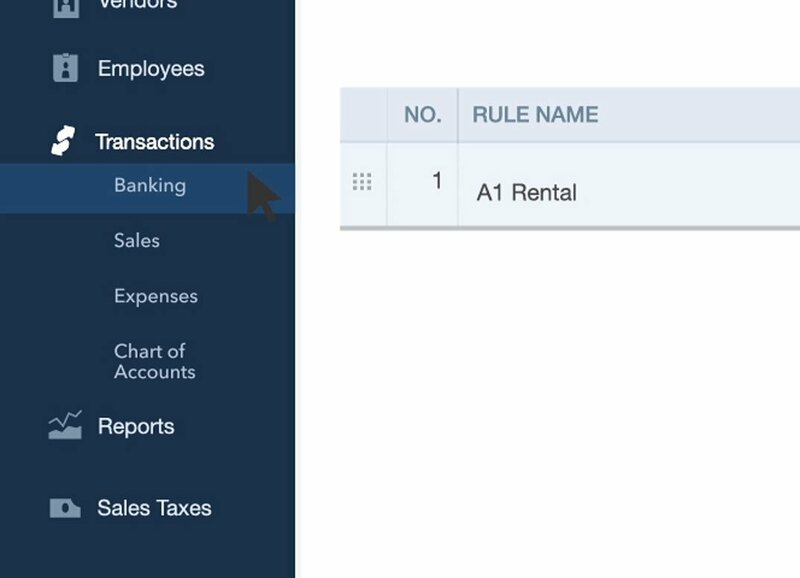 Bank Rules automate the categorization of the transactions on the bank feed, including assignment of the transaction type, category, payee, class, and location. 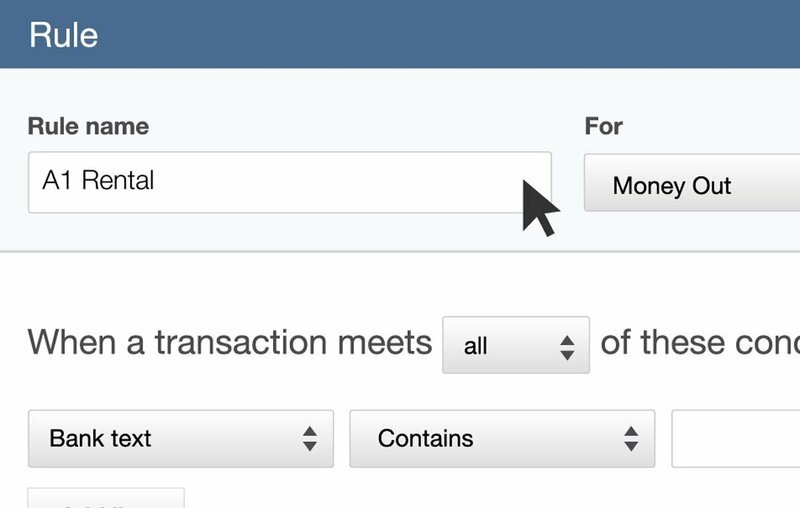 They can also be used to automatically split transactions. 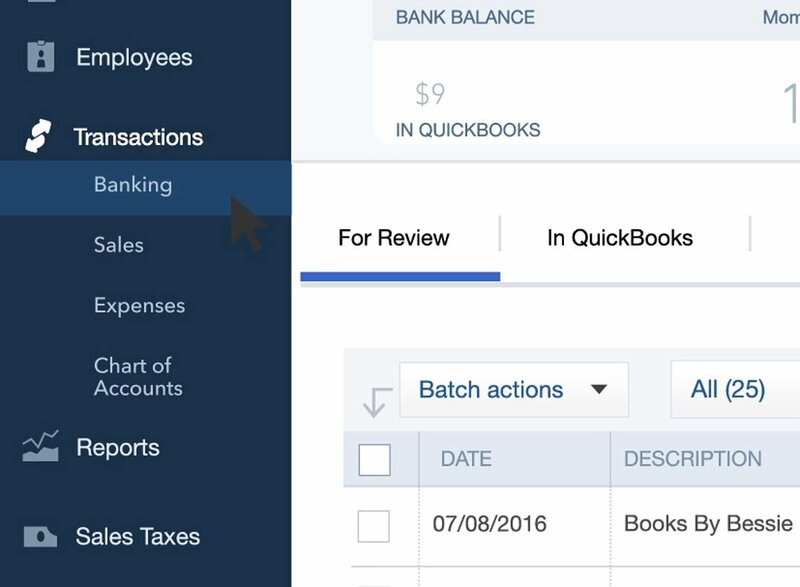 Rules can be prioritized over other rules, copied, edited, and exported or imported for use in other QuickBooks Online company files. 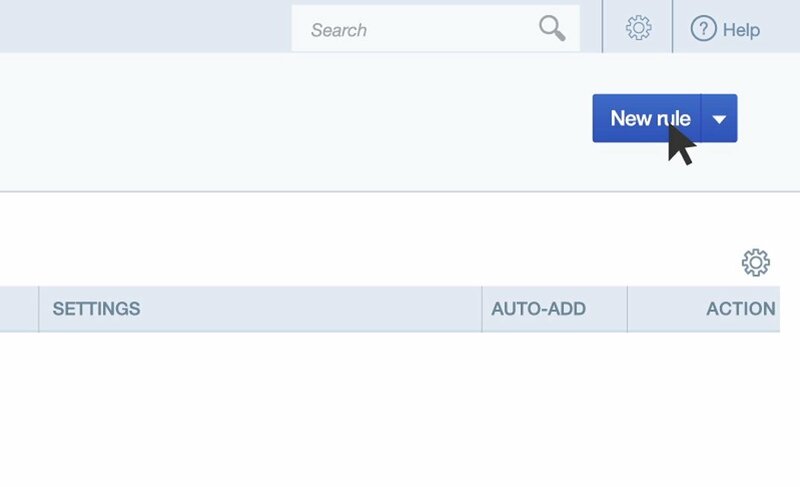 Finally, you can create bank rules to automatically add transactions to the register. 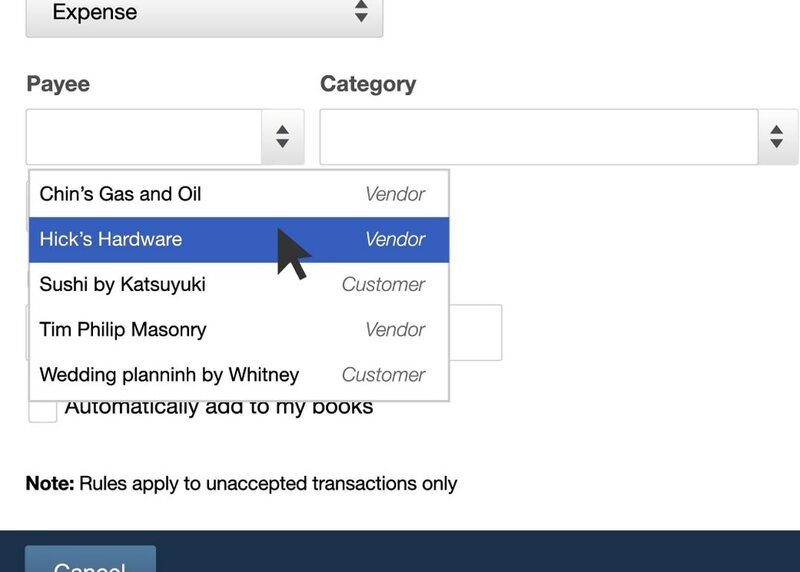 On the left navigation bar, choose Transactions and then Banking. 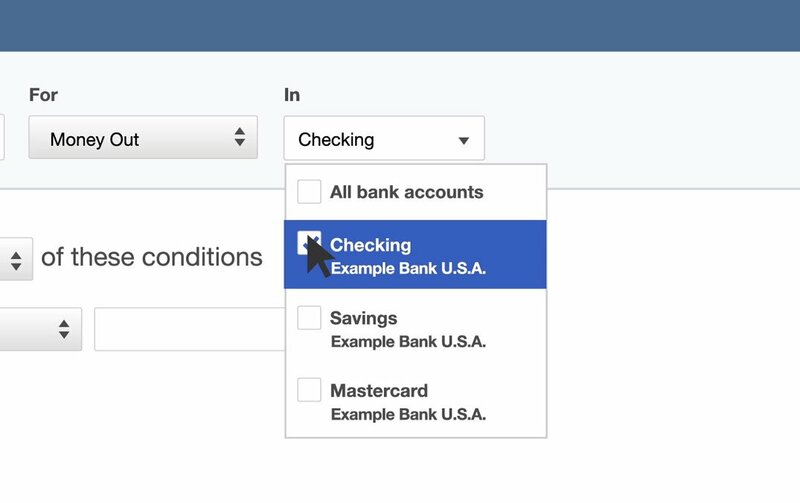 In this example, we’ll create a bank rule for recording a debit card purchase from the checking account. 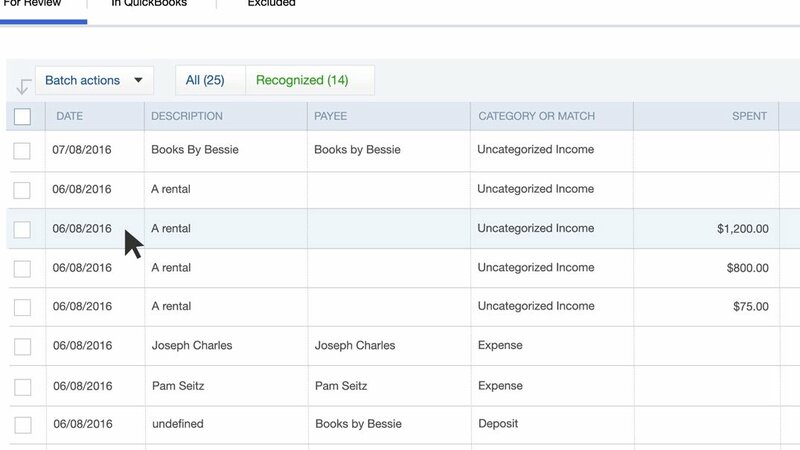 See the bank detail references. 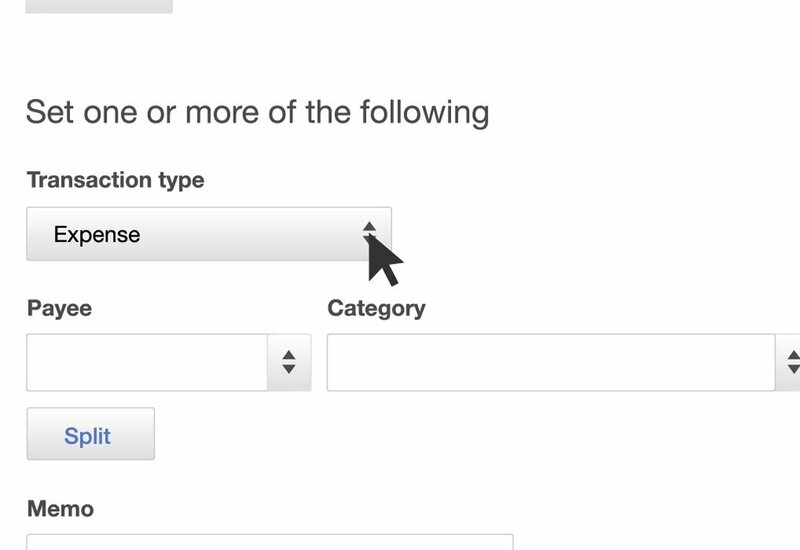 Scroll to the top and click the drop down arrow next to Update and the choose Manage Rules. 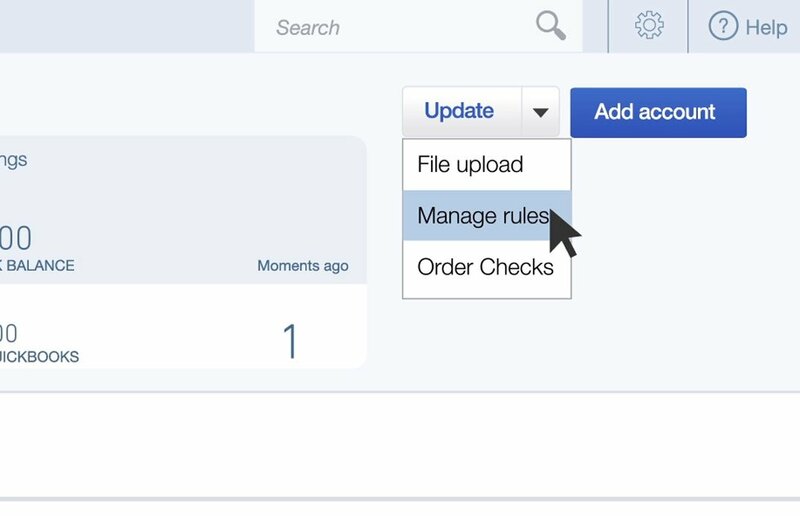 Click on new rule and give it a name. 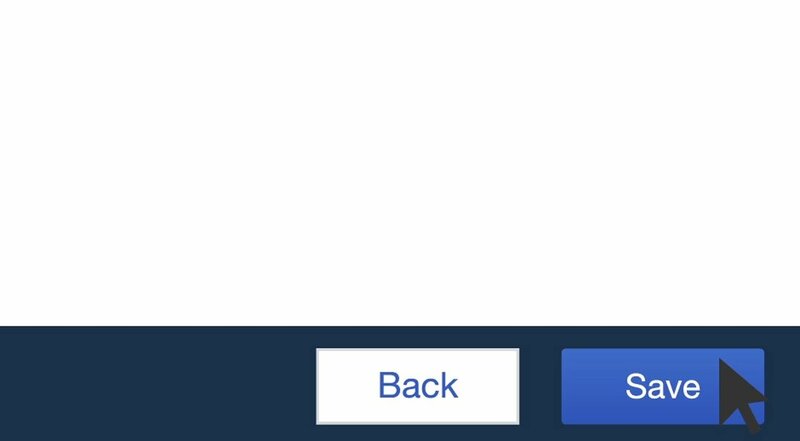 Then choose whether it’s for Money In or Money Out. 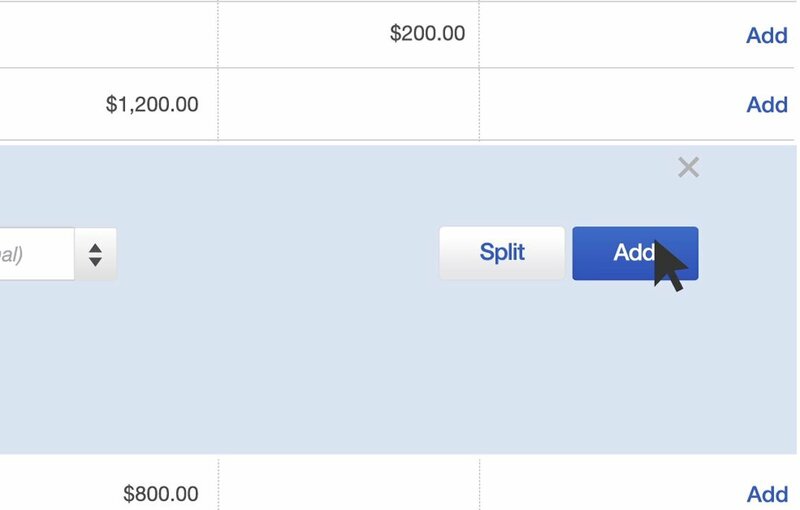 Identify which bank account to pull from. 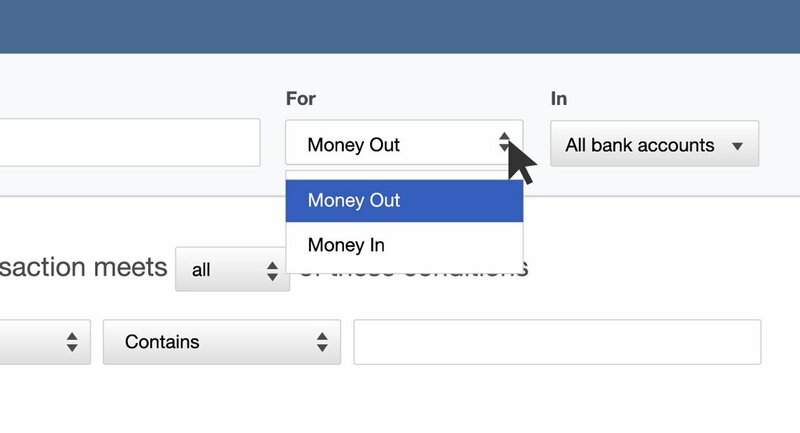 Set filters to tell QuickBooks Online what to look for in future banking transactions. 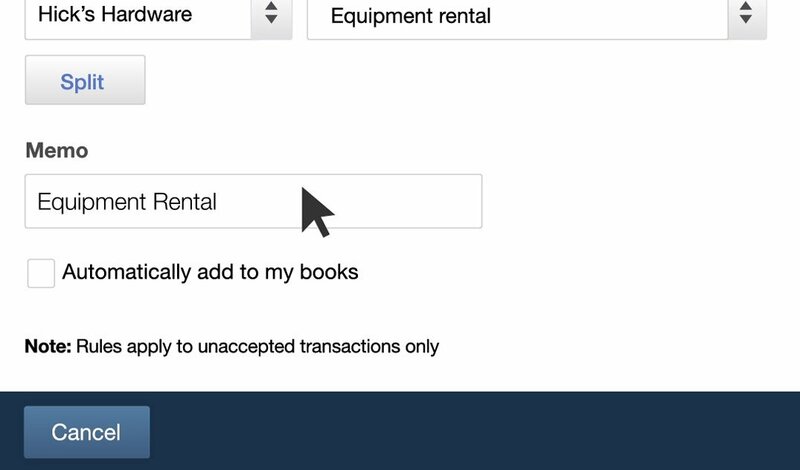 Tell QuickBooks Online how to handle the transaction and what type of transaction to record. 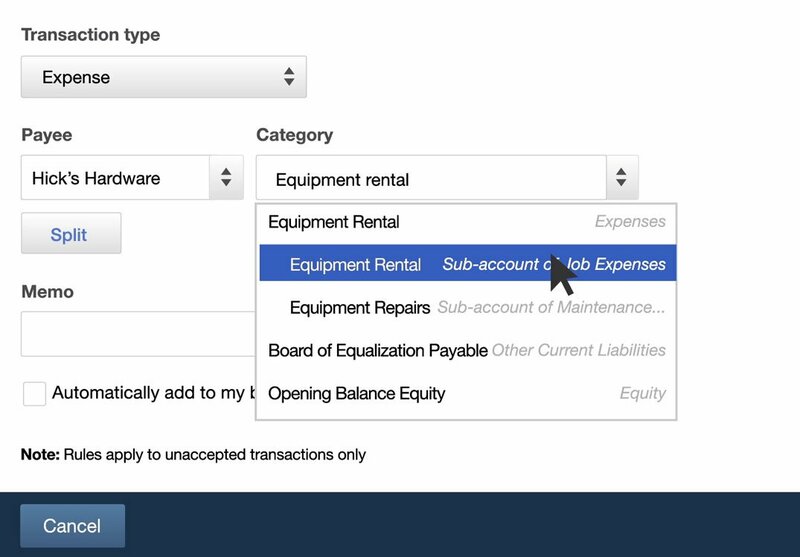 You can choose an allocation in the split by percentage or dollar amount. You can add a memo but remember this will be used every time this bank rule is run, so don’t be too specific. Go back to the Banking Center to review your new rule. 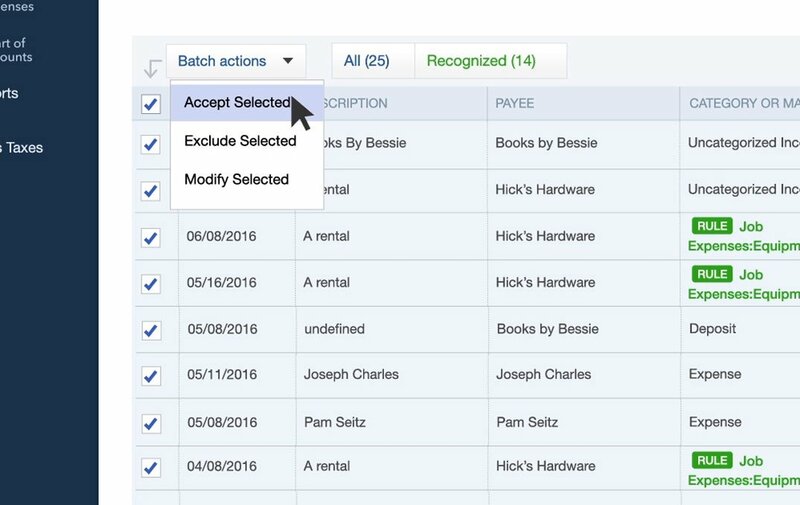 In this example, we can see that the rule was applied and QuickBooks Online automatically categorized the expense as we wanted it to. 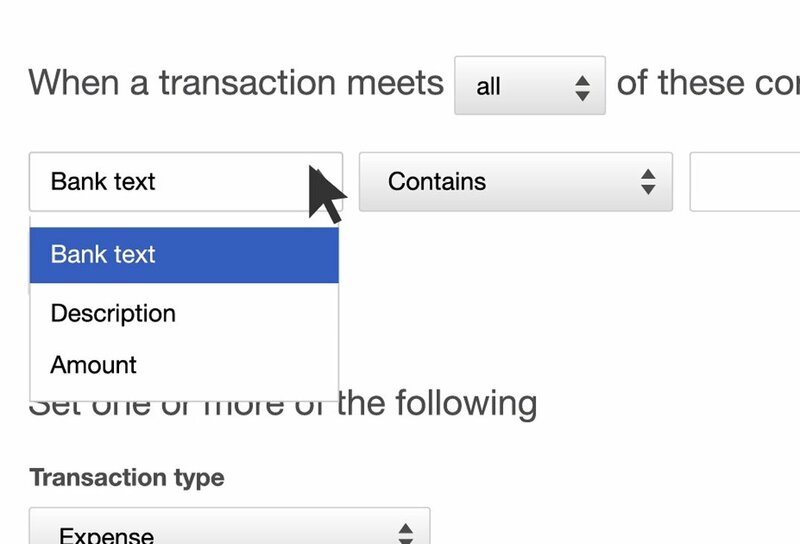 There is also a green label in the category column indicating that the rule was applied which allows us to accept the transaction with confidence. 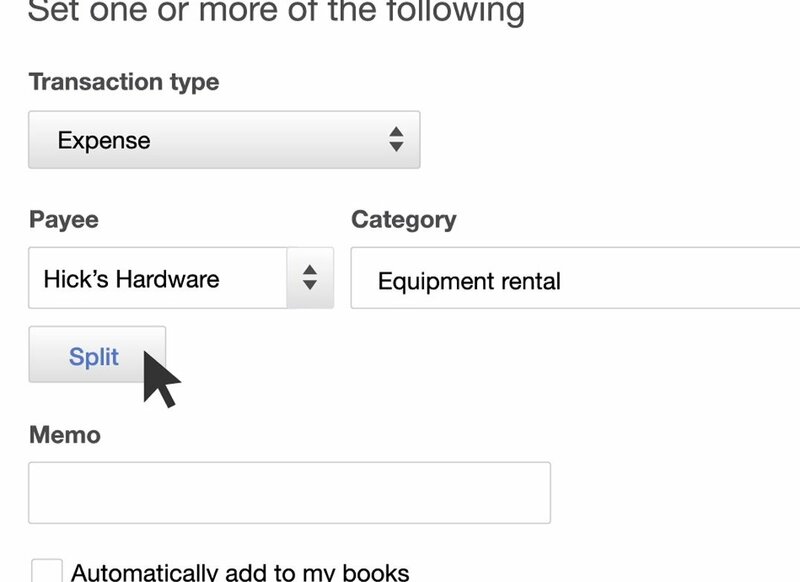 Setting up your clients’ rules can help them a lot. 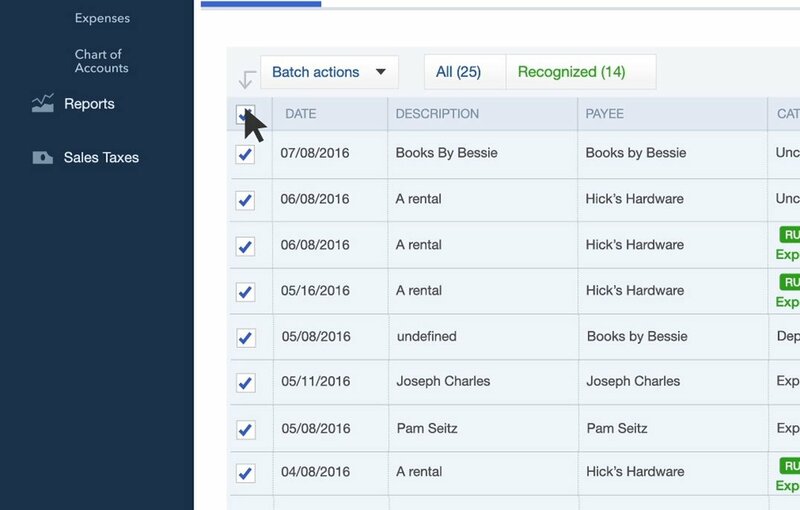 All they have to do is scan for accuracy, make any necessary changes and batch accept and post.